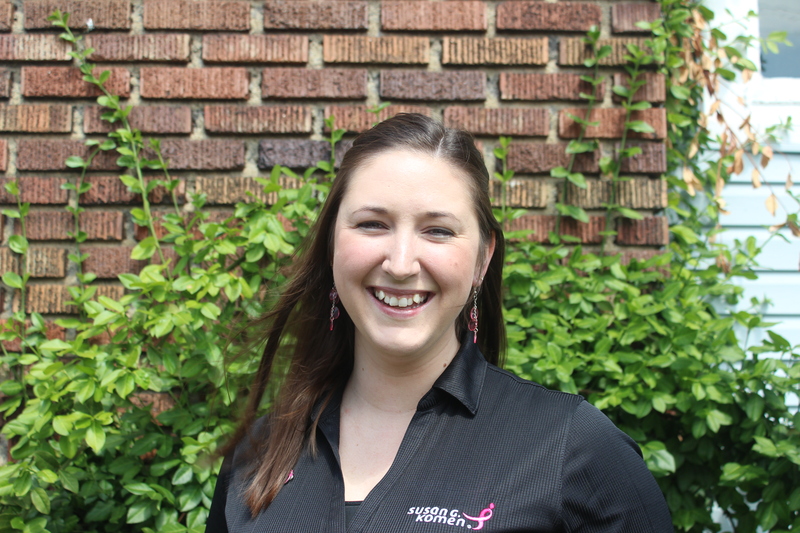 Melissa Miller is approaching her one-year anniversary with us as a Komen Central Indiana volunteer. She began her volunteer experience in September 2016 by representing Komen at education events throughout central Indiana. Since then, she has expanded her involvement to help with several different projects. Melissa served on the 2017 Race for the Cure committee where she helped the merchandise team, and she is involved in the 2017 Pink Tie Ball silent auction committee. Additionally, Melissa volunteers to represent Komen and pass out educational information at local community and sporting events, like Pink in the Rink. Melissa was inspired to begin working with Komen Central Indiana in memory of her mother. After battling inflammatory breast cancer, she passed away in January 2012 at the age of 51. Still in college at the time, Melissa struggled with the loss of her mother, whom she considered her best friend. She credits her strength to the unwavering love and support of her family and friends. After such a touching experience, Melissa began volunteering to help families battling breast cancer and let them know they are not alone. Thus far, Melissa says she considers the 2017 Race for the Cure in Indianapolis to be her most memorable event. It was the first Race Melissa had ever worked or attended. She felt moved by the sight of volunteers buzzing around in the rain for hours, packing soggy boxes and zipping around on golf carts—all with such positive attitudes. Another favorite memory of Melissa’s was witnessing her first Pink Parade of survivors. She said she was incredibly moved and humbled to see all the women and men march together. “The survivors parade made everything we do as volunteers worth it,” said Melissa. Through her volunteer experience, Melissa says she feels as if she has gained another family. She continuously feels inspired by hearing stories about battles fellow volunteers have conquered—or perhaps, ones they are still fighting. Melissa continues to dedicate her time to Komen to spread awareness and be available for anyone who may just need a hug or someone to talk to. ⇐ Announcing the 2017 Pink Honor Roll!